Travel can bring out the childlike side in all of us, inspire wonder, a sense of adventure and anticipation for what’s to come. We all remember what it’s like to be a young child, watching television shows about exotic beasts in far-off lands. As an adult, you’re free to make those childhood dreams a reality and visit some of those almost myth-like creatures in their natural habitats. An obvious destination for this is Africa, especially in countries such as South Africa and Kenya, where you can go on a safari and see the enormous African elephant, lions, zebras, and all manner of incredible beasts right up close. For most people, this is a once-in-a-lifetime trip that will surpass their greatest expectations. No matter how often you imagine such encounters, it’s quite impossible to fully capture the emotions until it’s actually happening to you. Also in South Africa is the opportunity to go cage-diving with great white sharks. Sound terrifying? Good, it probably should. But what better way to get your heart racing and come face to face with one of the greatest and most revered beasts on Earth – not to mention Death itself – than to confront a great white? Besides, observing one from the safety of a cage has got to be safer than surfing among them off the coast of Australia. Alternatively, you could head to Asia, where there are many and varied animal encounters to be had. 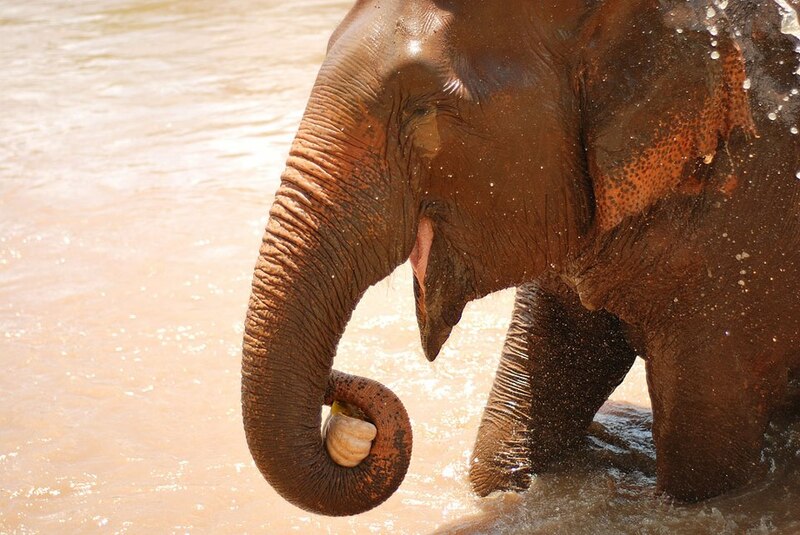 You can volunteer at an elephant sanctuary, go ziplining through a forest that is home to gibbons, snorkel with sea turtles and whale sharks and all manner of exotic fish. Just a trip to the beach might bring some serious face time with monkeys who roam the beaches, antagonizing tourists and prowling for food scraps. A great place to see some wildlife is Borneo, where you can dive, snorkel, hike and trek your way through one of the wildest and lushest places on earth. See an orangutan feeding its baby in the wild, search for pygmy elephants in the jungle, marvel at the incredibly colored birds that soar through the Borneo skies. But be careful – leeches are abundant in the Borneo climate and many a traveler has had to pick the bloodsuckers off their skin and clothes. It’s a good idea to check in with a physician before heading to places such as Borneo or Africa, to find out if any vaccinations are required. Malaria is a real risks in parts of both places, so you may want to at least bring malaria pills with you on the trip, should the worst happen. It is treatable, but if you are in rural areas, it may be difficult to access appropriate medical care right away. There are so many wonderful beings to see in the world; you just have to choose which wild adventure is right for you. Whether it’s a safari, volunteer program or a jungle trek to see beasts in their natural habitat, you can be sure it will be a trip unlike any other.